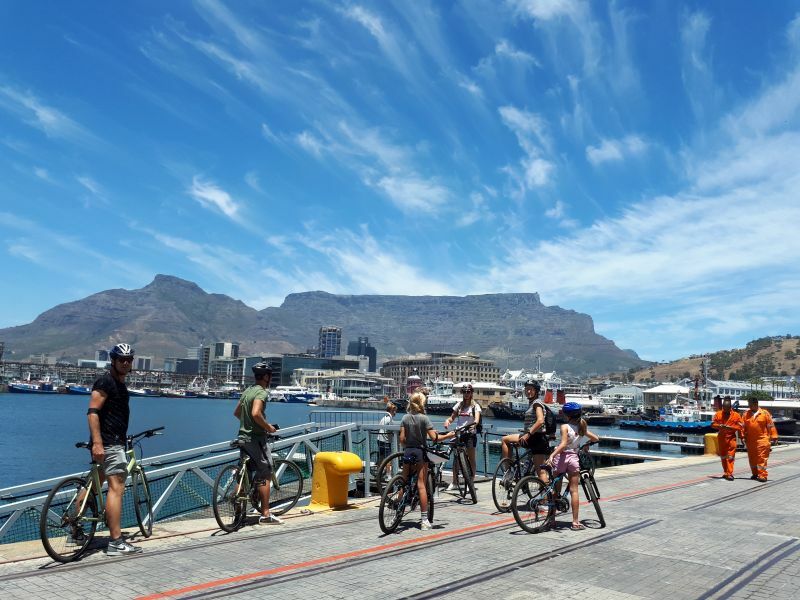 AWOL Tours encourage visitors to come to enjoy Cape Town despite the drought and water restrictions. Come and embrace this as an important life experience and be mindful of the drought whilst having a responsible holiday in Cape Town. In a modern world, we have come to expect to eat strawberries in winter, purchase sushi with salmon and avocado all year round and having water on tap at every given moment. But when faced with the uncertainty of not having a reliable water source it challenges one to rethink this perspective. Rethinking our expectations in a world of finite resources is an important thing to do, and what we experience in Cape Town whilst challenging is surely a sign to for all of to learn to adapt in a rapidly changing world. With an increased population growth and limited resources, we should all be living more sustainability. When faced with a challenge as South Africans have done for generations, we innovate, adapt and grow our resilience. I marvel at the ingenious way that most Capetownians have been modifying their behaviour to save water. Businesses and schools will not shut down. Many people have adapted homes and businesses to using well point and borehole water, harvesting rain water, recycling grey water for ablutions, desalination and recycled unpotable water for showers. The V&A Waterfront, where AWOL Tours offices are based have advised that they have a desalination plant that will come into effect on the 1st March. None of the hotels and restaurants in the city of Cape Town that we and our guests frequent will run out of water. Showers have been modified. Many Guesthouses and restaurants have grey water systems that are being plumbed into the latrines. 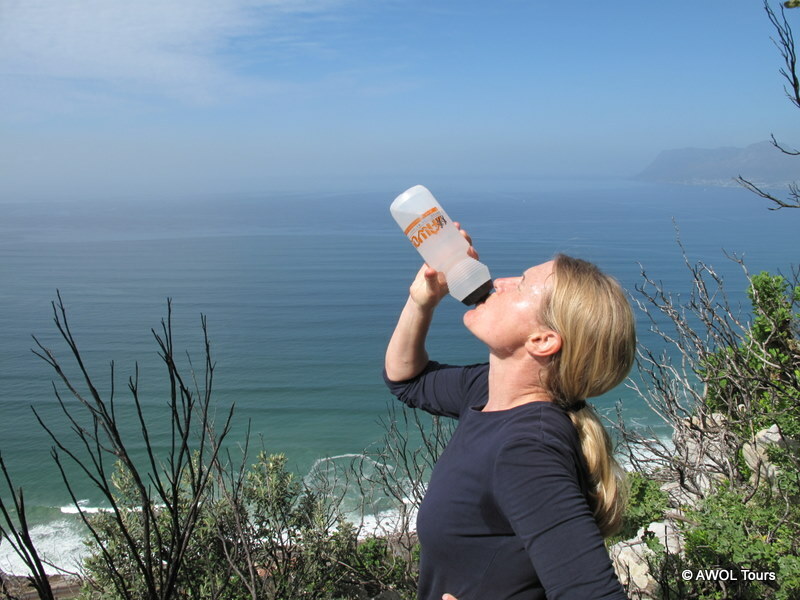 Spring and mineral drinking water from Cape Town’s aqueducts is both safe and easy attainable. My household of four people has already been using less than restricted for months by only doing a few modifications. Having been on a cycling adventure through Africa where we had to carry all our water on bicycles (10 litres at a time) enough to survive for a week, it’s amazing to see how little water humans actually need to survive. Pictured here we were collecting water in a riverbed in Ethiopia. What about considering a do AWOL Tours Cape Town city walking tour looking at the historical aspect of the water aquifers as the early Dutch colonials built canals to provide fresh water to ships sailing into Table Bay. This water crisis affects everyone in Cape Town, lets check our privilege as most township dwellers have never had good water security. 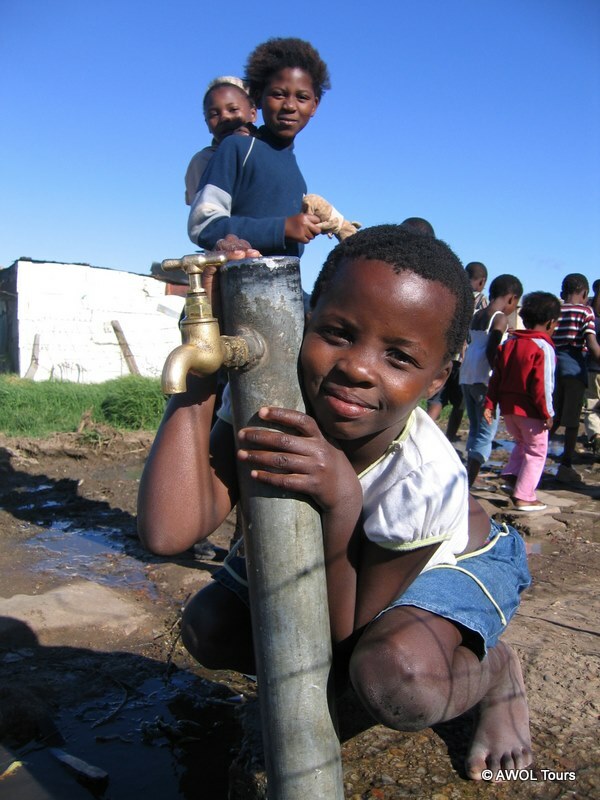 When participating on an AWOL Bicycle Township tour you can witness water collection from taps for daily living. In fact, the water crises will be a great leveller as middle class residents. As Cape Town experiences what is a most significant drought, I challenge guests and friends around the globe to proactively reduce water consumption and see how easy it is to use less than 50 litres of water per person per day!